At CFUM, we recently celebrated the retirement of a dedicated volunteer after nearly 20 years of service. It’s incalculable how many lives Chuck Howieson touched over his years, cooking meals, helping students with homework, serving breakfast, or spending all day in the CFUM kitchen to prepare the Thanksgiving Eve meal. 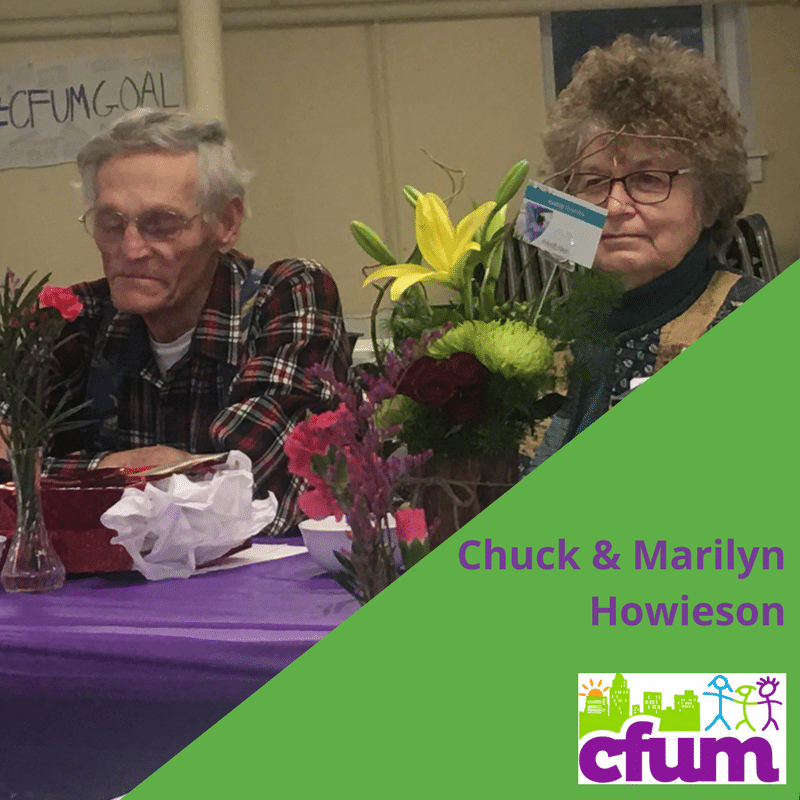 Year after year, meal after meal, when there was a need, Chuck and his wife Marilyn were there. 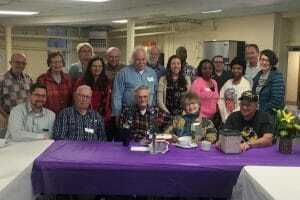 The interim pastor of his church (and former CFUM executive director), Carmen Lampe Zeitler who started CFUM’s Supper Club program over 20 years ago, first invited him to get involved in CFUM’s signature program, Breakfast Club. But it was his wife, Marilyn who admittedly not a morning person, passed the Breakfast Club baton to her husband. Chuck who now lives in Johnston, recalled the upgrade to the dining room floor of CFUM and how the current blue tile took shape. The people and the faces of CFUM’s past have made our organization what it is today. We’re built on the strength of our volunteers who pause their daily lives to step into our programs and through Trinity’s/CFUM’s red doors to impact others. Making sure kids had a healthy meal to start their day was just one of Chuck’s roles. Chuck is humble, he’s patient and was a part of transforming futures. He’s shared how he’ll be out and about in Des Moines and run into some of the CFUM kids for whom he used to help with homework, tease and create funny nicknames. That was good advice he made sure CFUM kids realized. When it came time for the kids to read, Chuck could see on a child’s face whether he or she was confident in their reading ability. His goal was to search those kids out, spend time with them and help them get excited about reading. You most certainly did Chuck, and we are so grateful! Toying with the idea of volunteering at CFUM? What Chuck will tell you is be prepared to be transformed yourself. There are so many exciting things about to happen at CFUM and we would love to have more volunteers to support those efforts as we journey to the next stage! Learn more about Volunteer Opportunities at CFUM.